​​Real Madrid have drawn up a three-man shortlist as they look to replace goalkeeper Keylor Navas this summer, but ​Manchester United star David de Gea is absent after making it clear that he is happy to stay at Old Trafford. Reports from Madrid-based newspaper AS (via the ​Mirror) claim that the Champions League holders are continuing with plans to replace Costa Rican stopper Navas, who conceded four times for his national side on Monday night against Belgium. Lee Dixon described Keylor Navas as "the most over-rated goalkeeper in world football". The ignorance is astonishing. If anything, it's the opposite with Navas - not enough recognition for his performances, and always with so much pressure on his shoulders with De Gea interest. 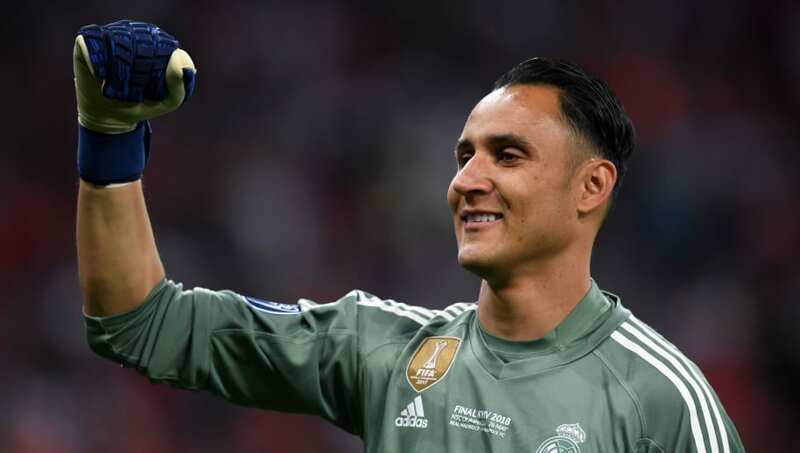 Navas has been a mainstay of Real's side since the departure of Iker Casillas, winning three Champions League titles - but parts of both the club's fanbase and top brass have remained unconvinced by him. Zinedine Zidane has been a long-time supporter of the 31-year-old, nixing moves for other goalkeepers suggested by the club's president Florentino Perez, but Zidane's shock departure at the end of last month has left Navas' place in the side under intense scrutiny once again. ​Atletico Madrid star Jan Oblak is one of the names touted to replace Navas, as is Thibaut Courtois - who would be available more readily than some of his contemporaries, with just one year left on his current contract with ​Chelsea. Roma and Brazil star Alisson rounds off the list of reported targets, with the ​Serie A side demanding anything up to £80m for last season's breakout star. For his own part, Navas spoke to ​Marca this week about the 'kindness' Real Madrid fans have shown him, insisting that he is often asked not to leave the club. "The kindness that the fans show me all the time is incredible," he said, "and I am very grateful to all of them. Whatever the sporting situation, they are always behind me. In the stadium I always here the shouts of support that motivate me and when I walk through Madrid people always come up to me and show me their kindness. They tell me not to go."